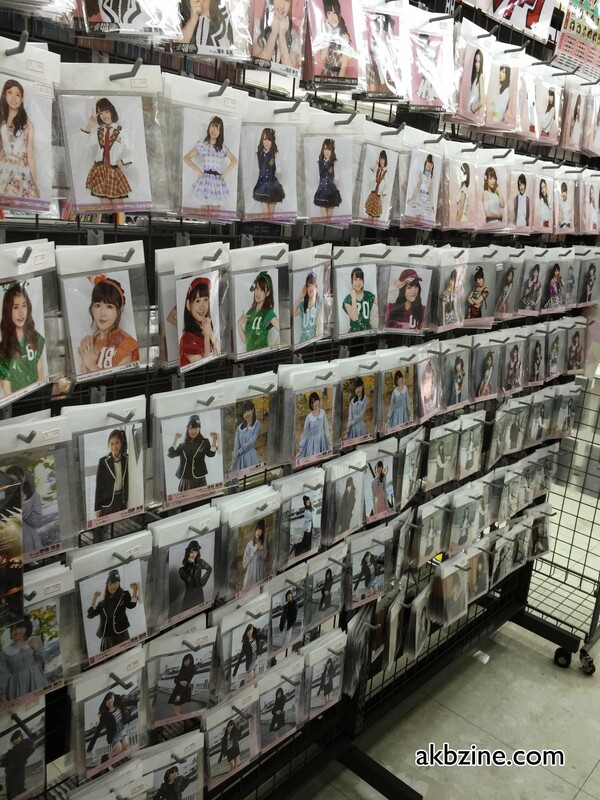 Looking to buy some AKB48 idol goods in Tokyo? In this shopping guide I’ll provide details on where to obtain such goods when you’re in Akihabara. Prepare your wallets!! While reika is busying herself, filling the site up with her own special blend of content, I thought I’d take my first jab at some more original content. 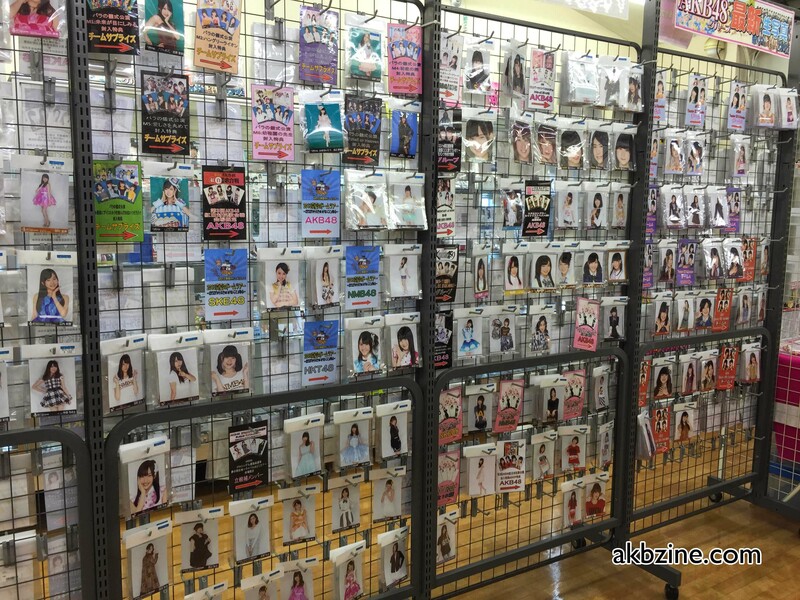 Plus, a few people have asked me about this in the past, so I thought I’d go all out and make my informal guide of shopping for AKB goods in Akihabara. This is my usual course when I’m in Akihabara shopping for AKB48 and other idol goods. Please tell me if there is more, as I’ve no doubt not discovered everything! Book Off is a chain of book stores that sells second-hand books, CDs, and DVDs / Blu-rays, etc. What makes Book Off in Akihabara special is its focus on video games, but they also carry a good variety of idols goods. This particular Book Off might be hard to find. It’s entrance is recessed, and located underneath the train tracks. The first floor is filled with video games, but don’t be fooled! Walk past the video game accessories on the left, towards the back, and you’ll see a discount rack just at the bottom of the escalator. There will be lots of old video games and such, but the discount rack will frequently have tons of AKB CDs that are often 100 yen (these are the version people buy for the tickets). If you just want to pick up the CDs, this is a good place to do so. They are used, so there are no photos and no special event tickets, etc. 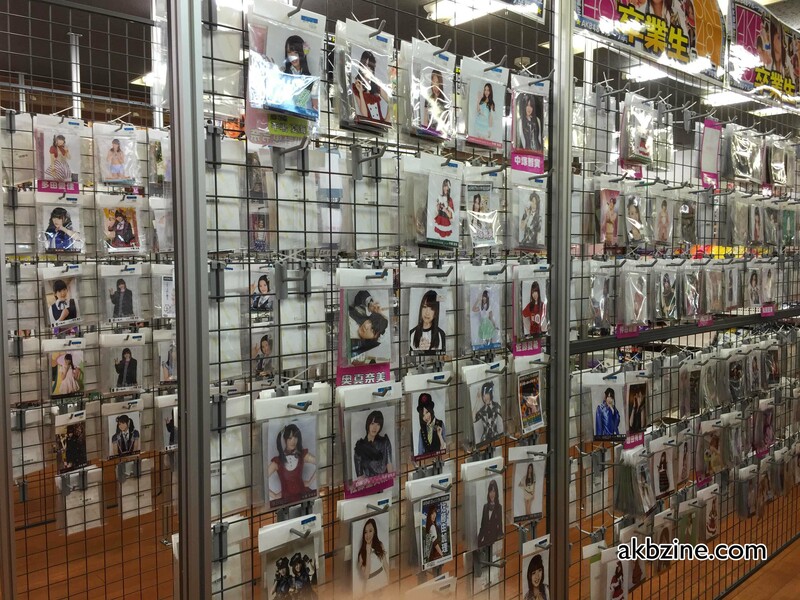 Recently, across from the discount rack, there is a shelf against the wall that has nothing but AKB CDs. The Blu-rays and DVDs are in a glass case right next to this shelf. 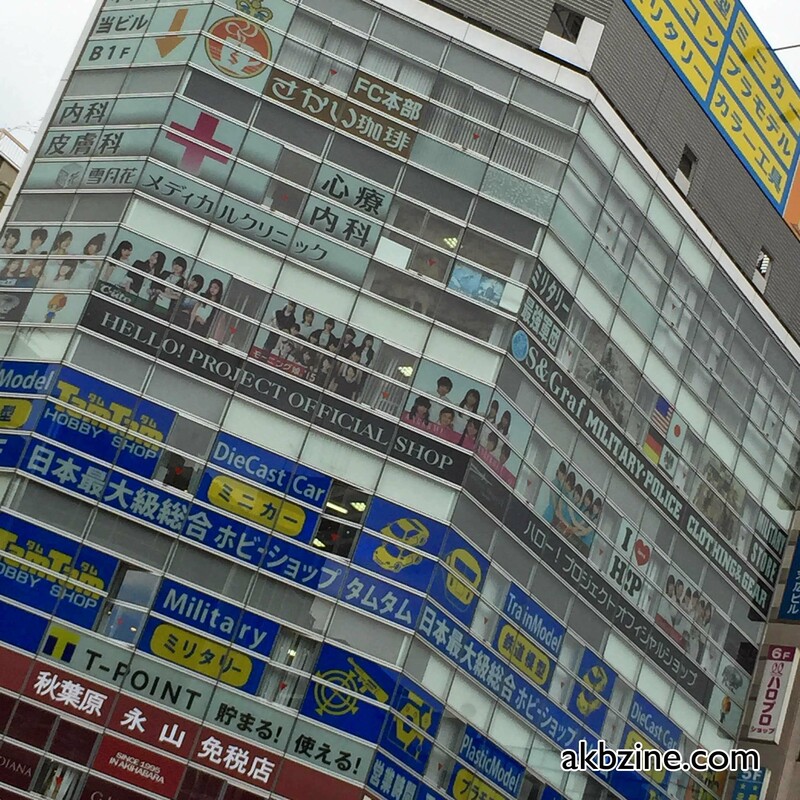 Most people know that the official AKB48 Cafe & Shop is located near Akihabara’s train station. It is pretty hard to miss, unless you get off at the wrong train exit (hint: head toward ‘Electric Town’ Exit, not the ‘Showa-dori’ exit). When you get out of the Electric Town exist, there will be too sides — you want to head toward the exit that DOES NOT have the Club Sega in front. 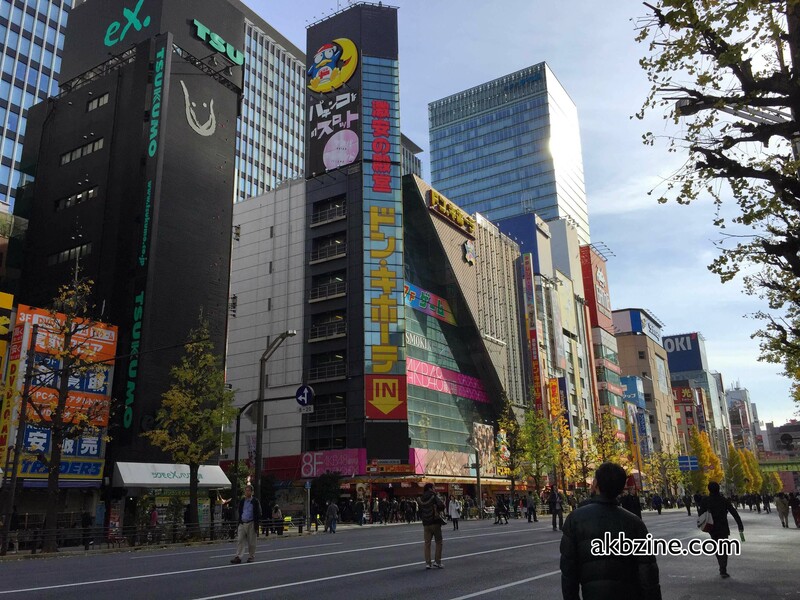 If you can see this side of Akihabara Station, you probably already know where the AKB Cafe & Shop is! Unlike other AKB48 shops that I have visited, this particular store does not allow photos at all. The other shops have different restrictions, but are a little bit more lenient. Of course, in all shops, you are not allowed to take pictures of the any of the cute cafe or store workers! In my opinion, the official shop is pretty expensive. Sometimes they’ll have limited edition goods. 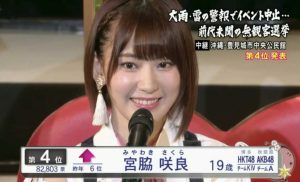 For stores in other areas, such as Namba and Hakata, they’ll have limited goods specific to NMB48 and HKT48 respectively. In my experience, it’s usually like a special poster or other trinkets, like key chains and cell phone straps or something. They’ll also have seasonal types of items, i.e. for Christmas and such. Go here for official goods, and for limited edition goods. They sell CDs at full price – so, probably better to get CDs elsewhere. 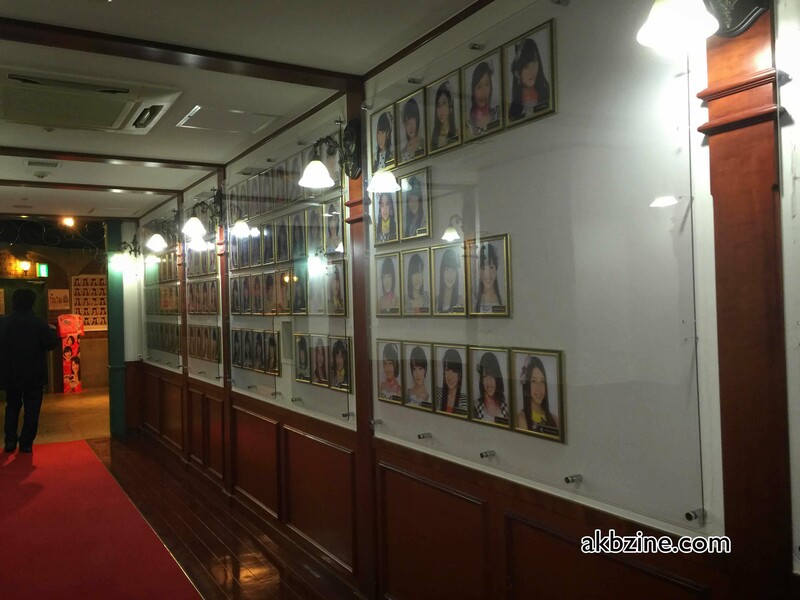 They also have the AKB48-themed cafe with member-themed food. I will talk about this in a later post. Lots of trinkets, member themed items, towels, cups, etc. If you want to buy these items, you might as well buy them here. I’ve seen them at other stores sold used, but honestly, would you really wanna use a second hand towel, or a second hand cup?! Liberty is a local chain of stores that specialize in otaku-types of goods, and they are numbered from 1 to 7 (though the numbers of each aren’t really discernible). Luckily, they have mostly the same green sign, so that they’re pretty easy to find (even if you find the wrong one). Liberty sells tons of photos. A crazy amount. Walls and aisles filled with nothing but photos. They seem to have the market cornered, it seems. When you walk in, the left side of the store will sell used DVDs / Blu-rays and CDs. They are usually pretty pricey, but they are used, so they’re cheaper than full price. The right side also has a vending machine where you can buy random photo packs. Depending on the pack, the price and quality will vary. I think the cheapest I’ve seen is 1,000 yen for 10 photos. In my experience, they’ll usually put one good photo on the outside (the one you can see), and then 9 crappy photos of people you don’t know or recognize. Great way to clear inventory. There’s also the glass case for the more expensive stuff. 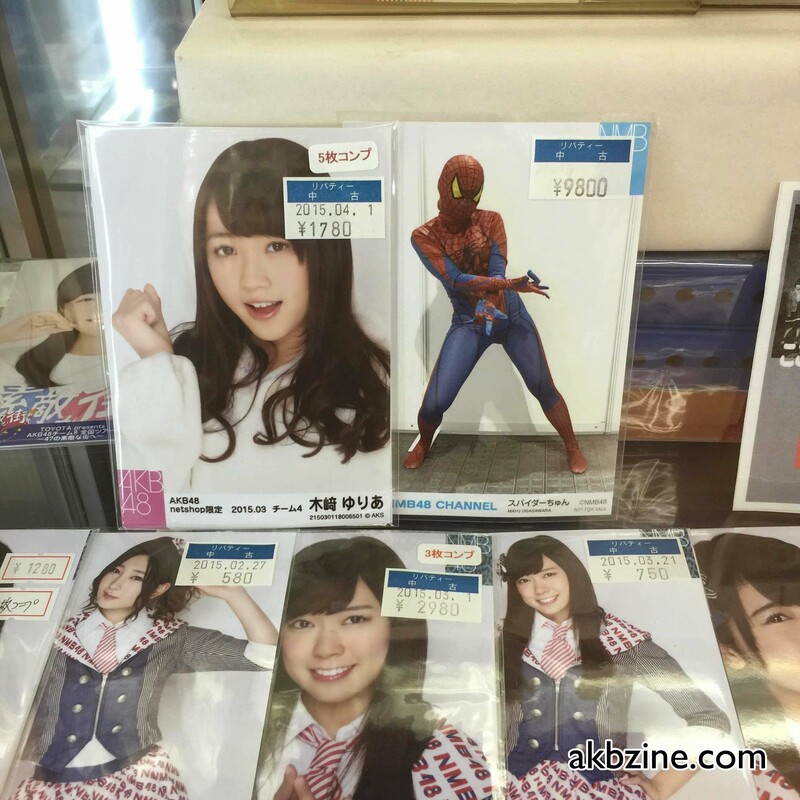 That’s where I found this 9,800 yen Spider-chyun! Spider-chun, you are so expensive!! This store seems to have a lot of photos, but not a lot of room. As a result, you’ll see really thick stacks of photos on the racks; more so than the other Liberty stores. What this means is that it might take longer to find something you’re looking for, but I think the selection is a little better because people don’t generally bother sifting through all the photos. To the left, upon entering, there are a few vending machines. They’re all the same though. Occasionally, you might see sale racks next to the registers on the right. After New Years, I once saw stacks of several dozen official calendars — they were all complete, except missing the photos (go figure, huh). In the space next to the register on the right side of the store, they sometimes have stacks of posters for sale. Continuing on the left, toward the back, there’s the usual glass case for the valuables. 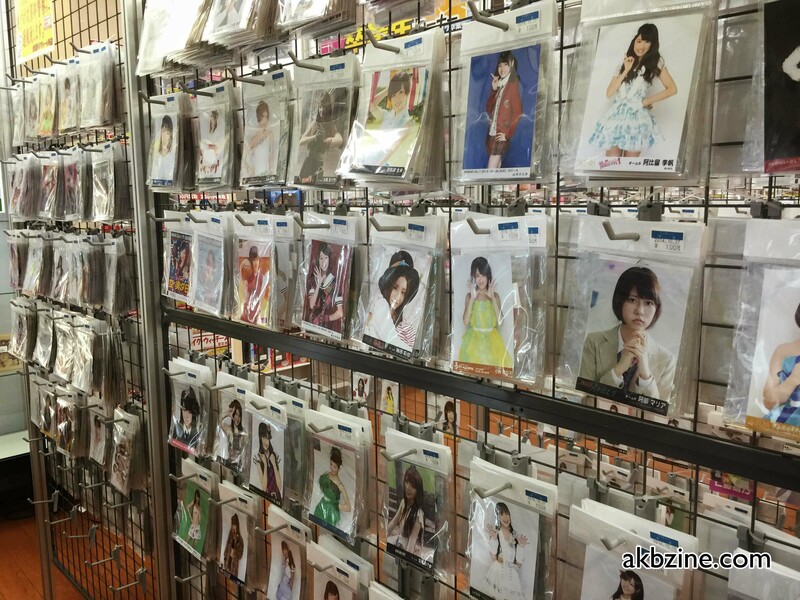 There’s a small bargain rack on the back wall, which is also where they keep a small selection of Nogizaka46 photos. The middle and right side of the store sells media: the usual CDs, Blu-rays, and DVDs. 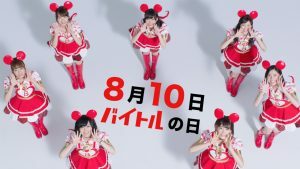 About 1/2 of the right side is also devoted to non-AKB group idols, such as Morning Musume (and other Hello Project groups), and Momoiro Clover. The biggest Liberty store is #6. It’s up some stairs, and is a pretty big space. Whereas the other Liberty stores had maybe 2-4 aisles of photos, this place has probably closer to 6-8 (I haven’t counted). It is much more massive. When you first enter, the vending machines will either be in front of you, or to your right. It seems to change position every now and again. To the right, along the entire wall, is nothing but Blu-rays and DVDs. The selection is pretty massive and expansive. If you go along the wall, you’ll eventually get to other idol groups, and to the CDs, albums, etc. If you go into the back right corner, you’ll see a shelf with used photo books, which are dirt cheap. The condition is sometimes not so great, because it’s not very neatly stacked. But I’ve gotten photo books here for 300 to 500 yen, in pretty good condition. It’s also nearby a rack that sells a bunch of used trinkets. AKB themed puzzles. Trading cards, etc. The right side has most of the glass cases, which contain the photo sets and more valuable items. The rest of the aisles going all the way to the opposite wall on the left side of the store are all filled with photos. You have reached photo heaven! Each aisle will usually consist of one group, or sometimes one team. It’s very nicely separated, and will sometimes be sorted by member name. If you keep going left, there’s also a section in the back which sells anime figures and rare video games, if that’s your thing. Traders Game Stores, like Liberty, has a few locations (I think about three or four of them?). 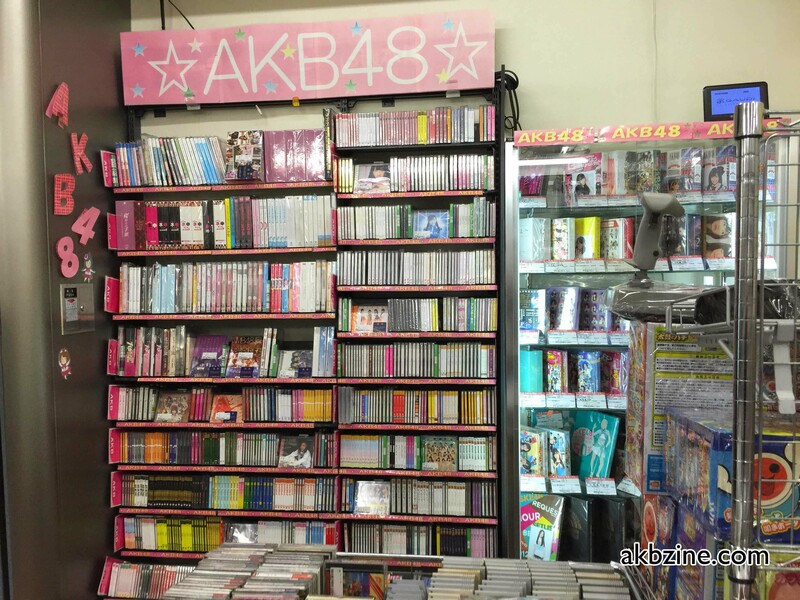 They don’t sell photos or books, but they do sell idol CDs, DVDs, and Blu-ray. I think they’re prices can be a little better, because they store specializes in video games, and not so much other media. That being said, the Main Branch of Traders is a six story building. 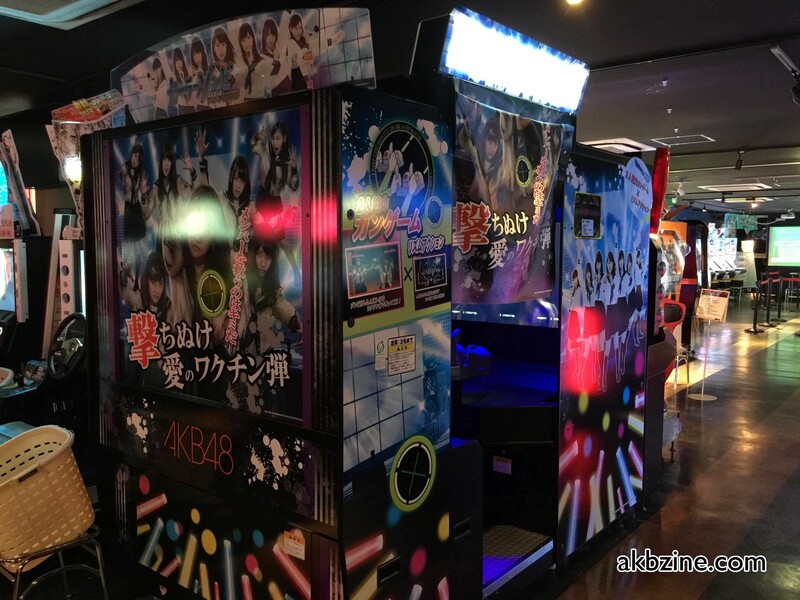 Video games are on the first and second floor, but there is an AKB48 corner on the third floor toward the back. It’s about two shelves worth. This place doesn’t get as busy as Liberty, especially concerning idol goods, so you might find something here if you don’t have luck at Liberty or Book Off. Traders #2 is located in on of the busier back alleys, and is under the train tracks, across from a KFC. This alley is pretty notorious for having cute girls dressed in maid outfits or school uniforms trying to tempt you to go to their stores! But, anyhow, the first floor is all video games. If you go the way back, you’ll see a small selection of idol Blu-rays and DVDs. I’ve usually found the best deals here, because people mostly come here for video games. The following places are either not in Akihabara, or do not sell AKB goods, but are nonetheless probably of interest if you are an AKB48 fan. I discovered this by accident while out in Odaiba. This is an official shop, with a cafe in it, but it has a different name. The shop is like all the other official shops, except they have a few Odaiba-only specials which are only obtainable here supposedly. It is located in a large mall / department store place called Aqua City Odaiba. It’s really large, so you might have to ask for directions, and is honestly not very easy to find. The cafe is super nice when the weather is good. And perhaps even when the weather is bad! High ceilings and large windows make this a very modern, and bright open space. It has a view which overlooks Tokyo Bay, which is nice to look at. Hello! Project Official Shop, from the outside. You may or may not be a fan of H!P, but there is at least one official shop which I’ve run into. 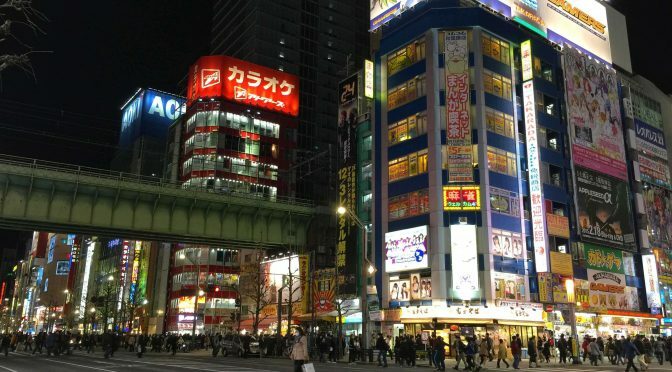 Its location is a little off ways off, but still very walkable, towards the end of the main Akihabara strip. You might even miss it, as it’s on the 6th floor of a very nondescript building. I haven’t been inside personally, but I imagine this would be a treat for Hello Project fans. The sacred homeland of AKB Otakus, the one and only original AKB48 Theater. It’s located on the 8th floor of a department store called Don Quixote, and is located right on the main Akiba strip. It’s hard to categorize what exactly Don Quixote is…. I want to call it a department store, but it’s not quite so. You’ll find lots of cheap goods, and lots of cheap junk. 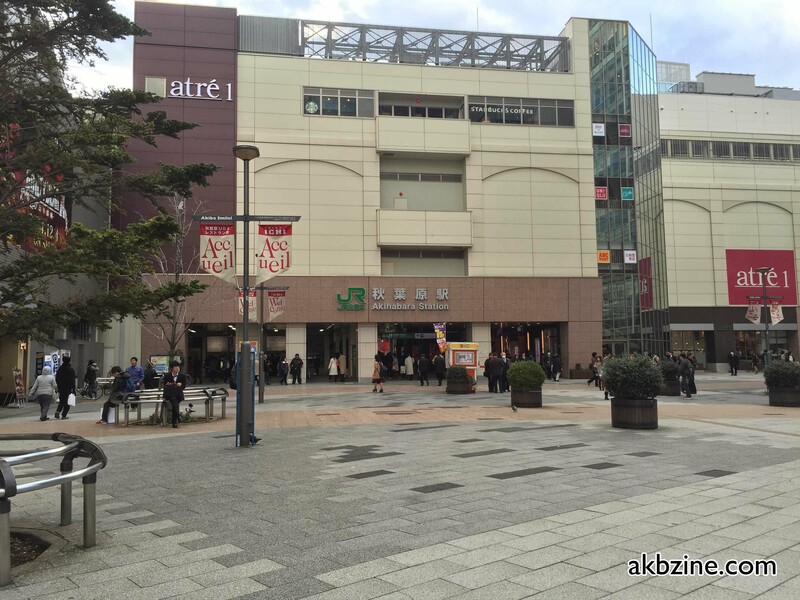 I believe the 5th floor has an official AKB goods shop, but it is rather tiny, and the staff are pretty strict about not having photos taken (you are inside a store, after all, so I suppose that makes sense). The 8th floor obviously houses the theater, which you have probably seen before. There’s the large hallway with pictures of all the current members, which leads down to the main lobby area right before the theater. Even if you don’t have a theater ticket, it’s still a good experience to see! If you’re waiting for theater to begin, there’s an arcade in there which has the AKB Zombie Shooting in it. Shoot zombie versions of your oshimen to kill time. Okay, this is a weird one. No AKB or idol goods here. But there is a wax museum in Odaiba, which features famous Japanese celebrities. A likeness of Oshima Yuko, Watanabe Mayu, and Maeda Atsuko are here; they are life-sized replicas supposedly. One of the first things I noticed was how tiny they are! This placed is located in yet another department store / mall in Odaiba, which is called Decks Odaiba. Decks is right next to Aqua City (where the official group shop is located), and Madam Tassauds itself is located next to a Lego Land. There are probably many more stores around here that I haven’t visited yet. I tend to visit stores that have video games in them as well, since I’m also a video game collector. But hopefully this list is good starting. Know about more places not listed here? Please let me know!! As you said, Book Off is a good place to start. I usually visit the Book Off in Ueno, heading towards Akihabara, they often have collections of 5 to 15 theater editions for 500 yen or so. 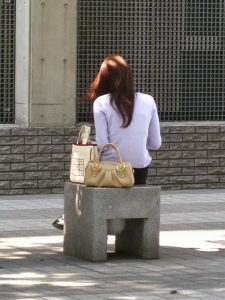 Another Book Off, really small, is from Asakusa towards Ueno. Of course the big ones in Shubuya and Shinjuku. Don´t just enjoy the concert-dvd-shelf there, but in the back they have gravure discs, where I got 31-chan, Itano, Bitchiwagi. In Akiba there are smaller shops in sidestreets, that feature CDs and DVDs, and on the main street, a cornerstore called Lampara. They always had old merch, like towels, shirts and stuff. At Haneda airport, towards the spectator deck, there is another official shop, with Airport LE photos. I myself wasn´t able to find IWA and now that you posted the picture of the arcade, I feel silly for not going there for the shooting-game! And of course at venues of concerts it´s all about photos and merch. Wow, thanks for the info! I shall have to make an updated guide sometime soon, and hopefully explore Tokyo more thoroughly for idol goods, haha. Yeah, I’ve been to the one in Haneda. I didn’t mention it here because I don’t think the shop doesn’t exists anymore 🙁 At least, when I flew out of Haneda a few months ago, it was replaced by another store. It was pretty sad. Also, regarding the arcade machine: the picture is of the one inside Club Sega. I couldn’t find the one I took from the Don Quixote arcade, but they’re exactly the same machine. Any ideas on where to get current official concerts t-shirts? thanks for the reply I should of put just officially liscensed t-shirts. a t-shirt is a t-shirt but the knock-offs are really poor quality. thanks for this. 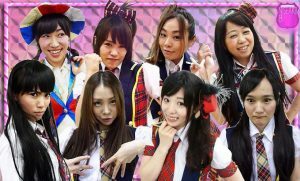 have you considered writing an akb48 travel guide? like best time to visit for akb48 events? I know they have the summer festival now, the general election, xmas activities. and there is also usually a break in activity just after the new year. Heya, and you’re welcome! I hadn’t really considered a AKB48 travel guide, as I haven’t experienced many AKB48 events in person. Hopefully that will change in the future. Yes, I had a great time! 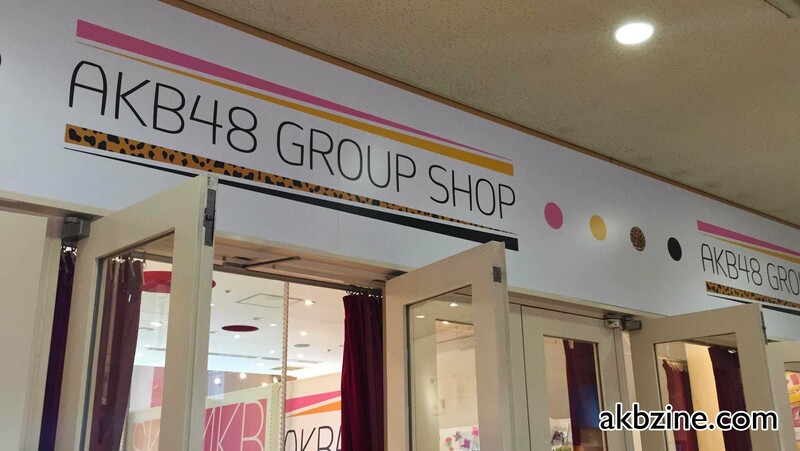 🙂 The AKB48 shop on the 5th floor of Don Quijote seems to have closed very recently (they haven’t even got round to changing the signs…). But apart from that, the guide was really good!